We identified the causal fungi of fairy rings as Vascellum curtisii and Bovista dermoxantha on the turf of bentgrass, bluegrass, and Zoysiagrass. Observing the fairy rings developed in the turfgrass study site in Chiba City for 5 years from 1998, V. curtisii, producing sporophores during June and November except midsummer, formed darker-green rings than the adjacent turf and withered the three kinds of turf. B. dermoxantha produced sporophores exclusively in midsummer. The fungus formed dark green rings on the three kinds of turf but withered only bentgrass and bluegrass. 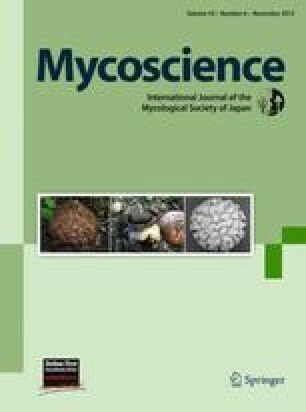 The optimum mycelial growth temperature of V. curtisii was 30°C. Whereas that of B. dermoxantha ranged between 35° and 40°C. The infection test of the fungi to the seedlings revealed that V. curtisii damaged Zoysiagrass more severely than bentgrass and that B. dermoxantha was more injurious to bentgrass than Zoysiagrass.